Heather Brittain Bergstrom, an American author, pens her poignant as well as compelling debut novel, Steal the North that accounts the story of a young teenage girl who, after learning about her mother's painful past and about those lies that her mother had been hiding from her, embarks upon a journey through the dusty and bumpy road to the Moses Lake in Washington from Sacramento in California. This emotional tale is entwined with love, family, sisterhood, teenage pregnancy, Christianity, race and culture set across a vivid backdrop. 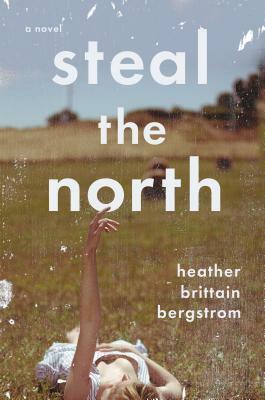 Vocally graceful and fearlessly intimate, STEAL THE NORTH, Heather Brittain Bergstrom's remarkable debut novel, is a strikingly beautiful portrait of modern identity, faith, family, and love in all its forms. Emmy Nolan is a sheltered and introverted sixteen-year-old living in Sacramento with her mom, Kate, when a phone call comes from an aunt she never knew existed. Fifteen years earlier, Kate had abandoned her only sibling, Beth, fleeing their tiny eastern Washington town and the fundamentalist Baptist church that had condemned her as a whore. Beth, who's pregnant for what she knows is the last time after countless miscarriages, believes her only hope to delivering the baby is Emmy's participation in a faith healing ceremony. Emmy reluctantly goes. Despite uncovering her mom's desperate and painful past, she soon finds she has come home--immediately developing a strong bond with her aunt Beth and feeling destined to the rugged landscape. Then Emmy meets Reuben Tonasket, the Native American boy who lives next door. Though passion-filled and resilient, their love story is eerily mirrored by the generation before them, who fear that their own mistakes are doomed to repeat themselves in Emmy and Reuben. This is a marvelously imaginative and deeply felt debut, one whose characters live at nearly intolerable levels of vulnerability. Yet, as fragile as they may seem, Bergstrom has imbued them with a tremendous inner strength, proving that the question of home is a spiritual one, that getting over the past is hope for the future, and that the bond between family is truly unbreakable. Emmy, a 16year old Cali girl, lives with her mother, Kate- a single mother, who works as a lecturer and has a boyfriend named, Spencer. Emmy and Kate both are content with their lives, when a sudden phone call changes the gravity of this mother-daughter relationship. It seems Kate had been hiding her past under layers of lies that she fed her daughter. Kate has a younger sister, Bethany who has a husband named Mike and that Emmy's father is still alive. Bethany needs Emmy's help on her journey to become a mother, who lives at the Moses Lake which is also home to a large number of Indians. Emmy's days at Washington begins perfectly when she meets her Indian next-door-neighbor guy who sweeps her off her feet at the first go. Will Emmy's summer be romantic or will Kate's secrets and lies about her past finally make Emmy a victim? This is an extremely emotional tale that rips a sweet mother-daughter relationship apart with the lies and the secrets kept buried in the closet for a long time. The tale not only moved me with it's intensity of pain and love, but also made me contemplate or rather say look at the story with a different perspective from that of the characters. The writing style is nice and polished layered with emotions. The evocative prose is bound to make a human heart long for their estranged relationships with their family members. The narration is delightful and there is so single POV, every other character has a voice and speaks the tale from their own POV, that really added a depth to each and every character's demeanor. The characters like I said are strikingly portrayed in this tale where each has has their own voice, from main characters to not so important characters. This book is actually a love story buried under depths of family drama, and every character voices their own fear when the young lovers passion and dreams for each other leaves them behind. Emmy is an extremely sweet and strong YA protagonist who despite of all those lies and her ill-fated love story, held on to hope and her heart, and how she reconnected with her only aunt despite of her mother's abandonment, is depicted beautifully in the story. Reuben is another important character, who shows a different side of the native American's race and culture as well as his small town, Moses Lake. The chemistry is sweet and innocent in the beginning which then matures with the situations that life puts Emmy on to. Moreover, their love story is enough to make the readers feel the flush of teenage love and all those heightened hormones kicking out of the system. The author has captured young love vividly through Emmy and Reuben. The backdrop of Moses Lake is vivid with colors and lakes and greenery and it is enough to easily transport the readers to the land of natives. And the native American race is featured with lots of sensitivity and strikingly. The theme of the book is powerful enough to make the readers feel a deep sense of respect towards their won family members. The love story is beautiful as well as heart-breaking. In a nutshell, this book is perfect for your summer read since it captures the essence of summer, young love and family drama with realism and authenticity. Verdict: A perfect summer read for realistic YA fans. Courtesy: Thanks to the author, Heather Brittain Bergstrom, for providing me with a copy of this book, in return for an honest review. I grew up in a small farming town in eastern Washington, located between the two largest Indian reservations in the state. My family has deep roots in the Pacific Northwest, and I remember my grandmother telling stories of how the Snake River used to flood their house every spring. For much of my childhood, my parents were members of a fundamentalist Baptist church where I attended school in an unaccredited basement academy. I have worked as a truck stop waitress and as a teacher. I've won multiple awards from Narrative Magazine, including first place in the Fall 2010 Story Contest. Four of my short stories can be found online at Narrative. Leslie Marmon Silko chose a story by me to win the Kore Press Short Fiction Chapbook Award. I have also won writing awards from The Atlantic Monthly and The Chicago Tribune, as well as other places. One of my stories was picked as a notable story in the Best American Short Stories 2010. Steal the North is my debut novel and first published book. I currently live in the Sacramento Valley with my husband and two children. I return often to the Pacific Northwest to visit the rivers and to feel the wind in the canyons and coulees. This seems like a mix of a lot of themes that are interesting or I support, like Christianity and culture.